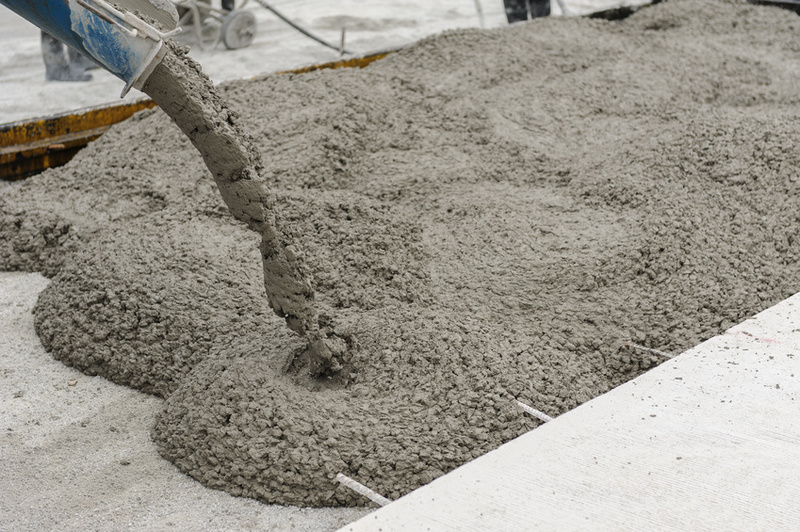 Although the terms are often used interchangeably, cement and concrete are different things. In fact, cement is an ingredient of concrete -- and an important one, too. In 2011, the global market for cement was valued at $237 billion. Concrete construction is twice as popular as any other type of building material, such as wood or steel buildings. Over two billion tons of concrete are used every year for the construction of commercial, industrial, and residential properties. The use of concrete dates back to ancient times. The Egyptians used a concrete-like material as an infill for the pyramids, and Romans paved their roads, as well as the Coliseum and the Pantheon. Concrete mixtures vary, but in general they consist of a recipe that's 60% to 75% gravel and sand aggregate, 10% to 15% cement, and 5% to 8% air. Famed inventor Thomas Edison held 49 different patents related to concrete construction during his lifetime. He wanted to make precast houses, pianos, and furniture out of cement, but the projects never quite took off. The oldest piece of concrete in the world is estimated to be 12 million years old. It was discovered in Israel during the 1960s. The first concrete ship was built in 1848 by Joseph Louis Lambot of Southern France. It was featured on display at the 1855 World's Fair in Paris. When the Hoover Dam was completed in 1936, it was the largest concrete construction ever completed up to that point. It continues to operate as a barrier on the Colorado River between the states of Arizona and Nevada. The tallest concrete building in the world is the Trump International Hotel and Tower in Chicago. It stands at 98 stories and over 1,387 feet. There's a reason why concrete construction is one of the most prevalent and trusted methods of building in the world. To get your next project underway, get the facts -- Contact our experienced concrete contractors with your questions or ideas today.